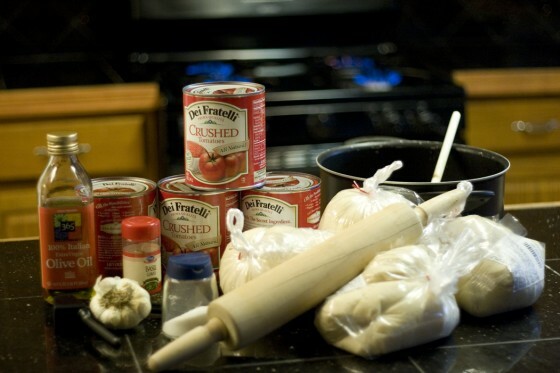 Stocked up, and ready to cook. Friday night was my turn for Family Night. 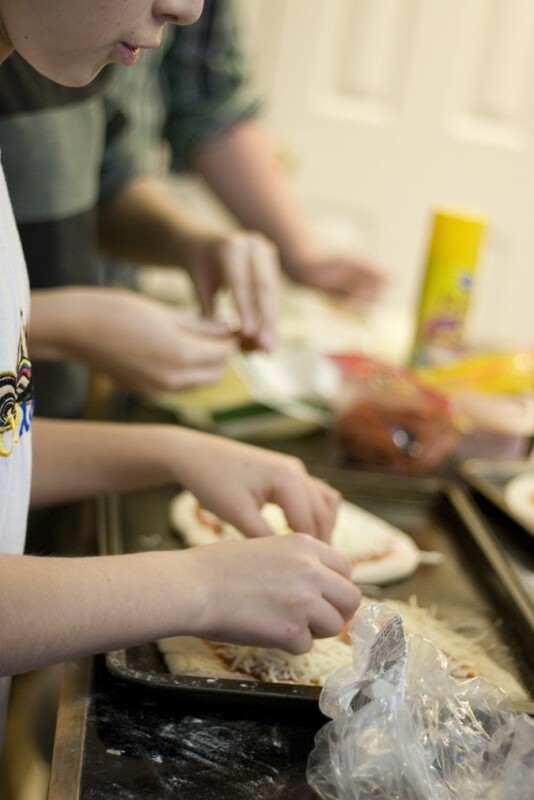 I decided to invite the dudes over to make some homemade pizzas, and also watch The Karate Kid. 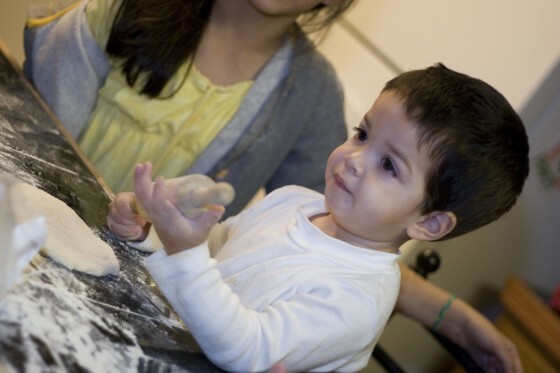 The pizza’s were super easy, and we had a ton of fun. Bonding with my 6th grade small group is always a plus, especially when a retreat is about a month away and I’m still trying to get them to register. Here are some shots from the night, and scroll to the bottom for the recipe. Dudes stackin' the cheese, and other ingredients. Jack, he make-a da Pizza! The Oven. It cooks-ah da pizza! Yeah the crust had a tinge of burn, but this pizza was the business. All finished, but what a waste of crust! Poor enough olive oil to cover the bottom of pan. Crush garlic, and cook in the olive oil but do not let it turn brown. Add crushed tomatoes and basil, let cook for 15 minutes. 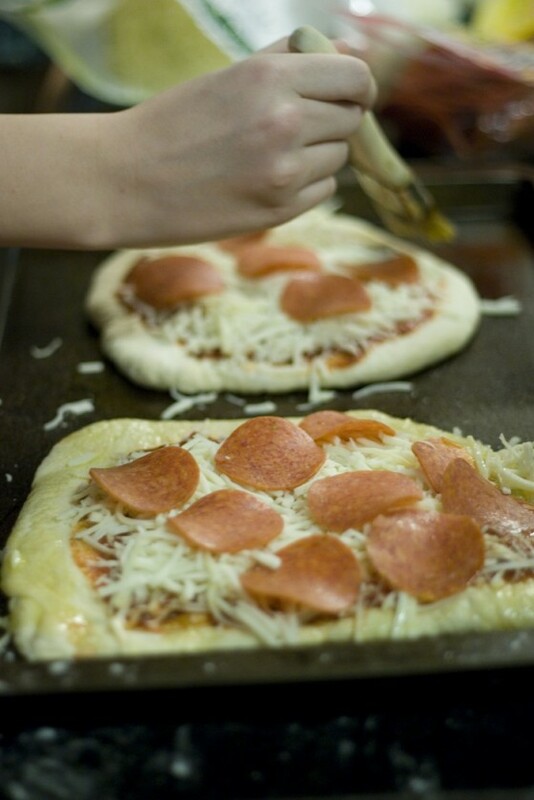 Roll dough to the thickness you want, 1 bag usually makes 2 medium-size thin crust pizzas. 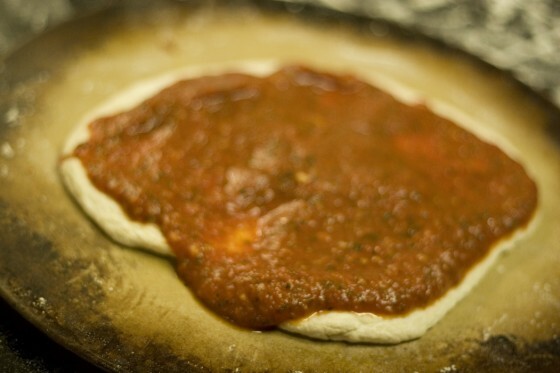 Spread sauce over dough, add cheese, then any toppings you want. 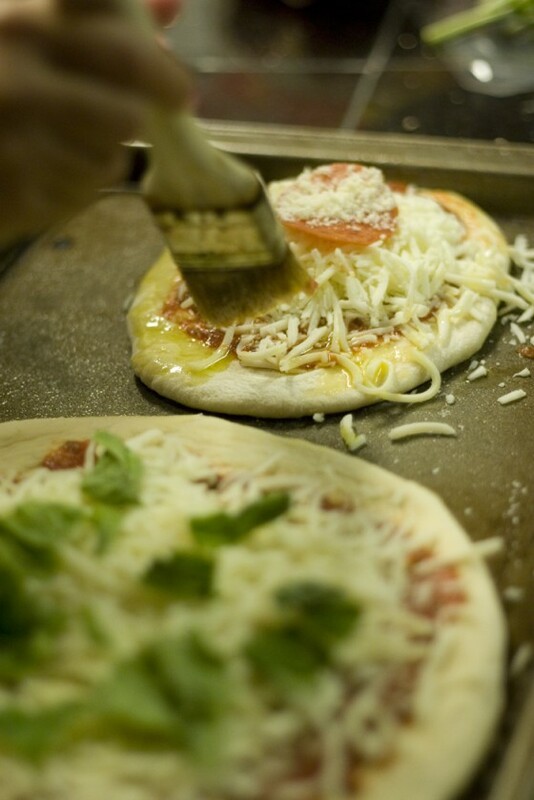 Brush olive oil over the outer crust. Place in oven, middle rack. Cook for 8-10 minutes. looks incredible. and I love how you captured the heart of this in the pictures. Thanks Michael. It’s always a touchy subject when taking photos of other kids and putting them on the blog, so I just stay away from that all together and get the stuff that really matters. Like the delicious pizza. DANG! That stuff looks good. 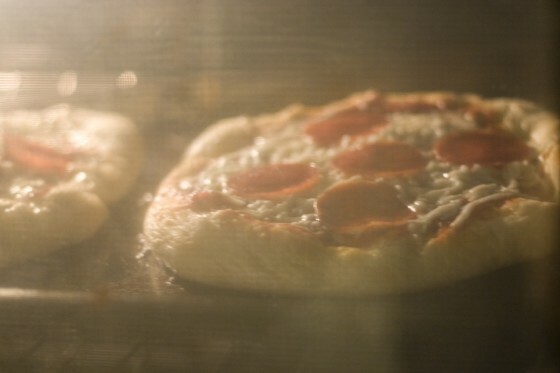 I’m all for some good pizza… and making it at home (nicely complimented with family memories) sounds like a winner to me. It was so good, and we had some more on Saturday and Sunday. All out of dough, but we still the sauce and other toppings. I’m thinking of making a pizzadilla with the leftovers. I am a firm believer that some of the best conversations I have had, and the best fellowship I have had, were both had over a warm stove. Listen, you’re probably not going to make it out of the kitchen, so we’ll just eat standing up or sitting on the counter top. The warmth of the stove/oven, the lingering smells of the food, the richness of breaking bread together, and the depth of fellowship when “anointed with olive oil”! Love it. 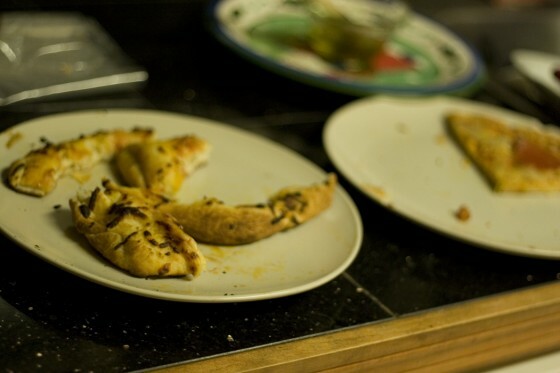 Ben, if I lived closer, I would come to your house and make you some le pizze tradizionale. By the way, those crushed tomatoes you used are called “Of the Brothers” in English. How appropriate you used them to hang out with The Dudes. Looks like a great fun. Ben, I’ve notice that you have quite the eye for photography man. You are good. I’ll keep my eye on you sir. great pics! Yeah I have fun with it. For a while I dropped off taking photos with my DSLR, and actually sold about $2k worth of lenses so now all I have left is my trusty 50mm f1.8 “Plastic Fantastic.” It does what I need/want it to do for now. I figured you had a nice wide opened lens. I have a similar lens for my Canon. Cheap, but the bokeh is so… delicious! I love how bokeh is delicious. My bokeh is delicious, but I really am not comfortable speaking about it in public. We’ll be sure to have the ingredients stocked for when y’all come visit this summer. 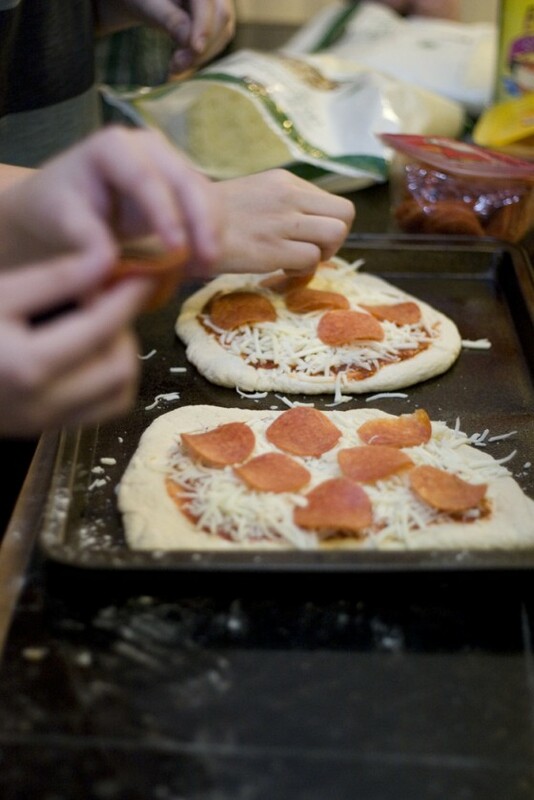 I tell my kids that the crust is what will make them big and strong. Apparently, they want to stay small and puny. Sidebar: what kind of camera and editing software do you use? As I was telling Moe, this past year I sold about $2k of lenses, my favorite being the Canon 70-200mm F2.8L lens. It rocked. 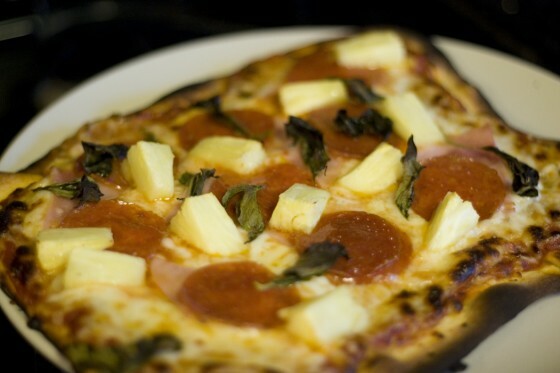 We have been making homemade pizzas for the last few years and it’s awesome! Our favorite is barbecue chicken. Thanks for taking the time to leave a comment at my blog. I appreciate it! This is awesome. Wow, I love the photos. I just started a tutorial on how to take better pictures through a blog and I’m hoping to get some pointers. I have a nice camera, but I need a tutorial on how to use it! Yikes. Michelle, with a camera. Watch out!